In the wake of Donald Trump’s election, the jaded consoled themselves with a familiar bromide: Yeah, but imagine how much great art will come out of this. And sure, the idea that oppression, injustice, and the proud anti-intellectualism that Trump represents is the big, ugly crucible in which a million Guernicas and great garage bands will be forged is briefly comforting—but it’s also rather myopic. For one thing, it’s pretty hard to get excited about some great punk rock record when your wife is dying because you can’t afford cancer treatment, or you’re being attacked on the subway for wearing a hijab. 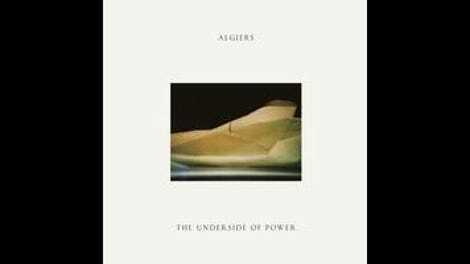 Nevertheless, Algiers’ The Underside Of Power is a really good, very relevant record—one whose themes may run millennia-deep, but whose sense of outrage, ominous portent, and rebellion are perfectly, regrettably attuned to today. 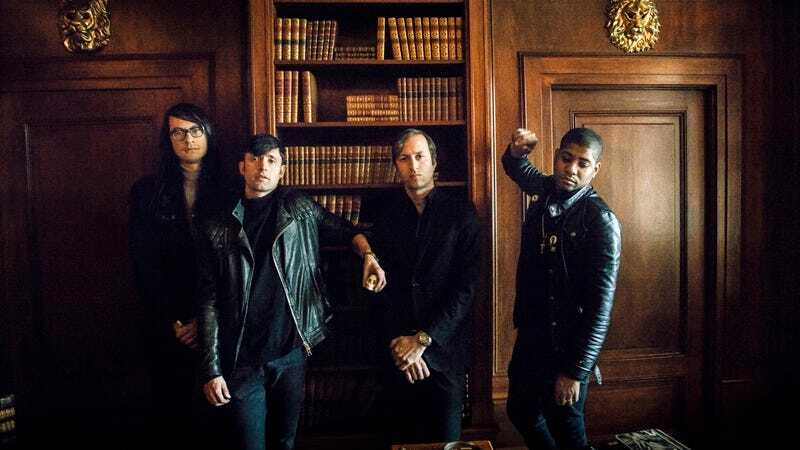 The band’s 2015 self-titled debut established its apocalyptic, gospel-industrial howl as a primal scream against systemic racial oppression, invoking slavery in all its undying forms. Underside feels like a quantum leap from that both musically and thematically, newly charged with the righteous anger of Antifa and Black Lives Matter, and explosively unleashed by artists and activists who sense that this is their moment to seize. The result is a collection of songs that articulates that fury and despair with such authority, it deserves to become the soundtrack for whatever future documentary montage captures the mess of 2017. It’s galvanizing, uncompromising, and uplifting, and it should speak to everyone who still has some fight left in them. That universality is reflected in the music itself, a cross-cultural summit of Suicide’s proto-industrial churn and Motown soul, gospel spirituals and The Gun Club, with further reference points touching on Public Image Ltd., Southern rap, Marvin Gaye, Detroit techno, and Italian giallo soundtracks. It’s lyrically omnivorous as well, drawing inspiration from T.S. Eliot, Jacques Lacan, and back issues of Ebony magazine, but primarily from the frustrations its band members experienced growing up in the Deep South—and today still, from their disparate homes of New York and post-Brexit London. It’s also aided and influenced by a diverse group of collaborators that includes Portishead’s Adrian Utley, The Men/Uniform’s Ben Greenberg, and Randall Dunn and Sunn 0))). What might sound unwieldy on paper becomes naturally symbiotic on record, fire-tested by an intense round of touring with newly recruited drummer Matt Tong (Bloc Party), and fluidly connecting an entire century’s worth of music as shades of the same guttural, human expression. Opener “Walk Like A Panther” sets the tone to follow, a pulpit-pounding polemic that kicks off with a sample of a speech delivered by murdered Black Panther Fred Hampton over a grimy trap beat that bleeds into Fisher screaming, “We won’t be led to slaughter / This is self-genocide” through layers of ragged distortion. “Cry Of The Martyrs” marries its biblical imagery of locusts and Calvary to cribs from Bob Dylan’s “Let Me Die In My Footsteps,” all over a pulsating electro-buzz punctuated by church congregation handclaps. That rallying spirit continues on the title track, whose Northern Soul stomp and pumping-piston hiss culminates in Fisher, his voice in full Levi Stubbs boom, unleashing a soulful, Sam Cooke-referencing promise that “One day a change is gonna come / Because I’ve seen the underside of power / It’s just a game that can’t go on.” In that moment, you believe him. On these songs—and throughout Underside Of Power—Fisher eschews the sort of explicit references to current events that might instantly date it. But on the album’s emotional centerpiece, “Cleveland,” he simply can’t avoid it. The title alludes to Rev. James Cleveland, as a sample of his gospel song “Peace Be Still” forms its basis, but it more directly references the city where 12-year-old Tamir Rice was killed by police in 2014. As Fisher levels a judgmental finger at “the shirts in brown and black with the flashing lights” and “them boys in black and white with the kerosene,” his voice assumes a godlike vexation that’s matched by the doomsday choir behind him, climaxing with a vicious call-and-response section where Fisher righteously wields the names of Sandra Bland, Andre Jones, Alfred Wright, and others who have died at the policeman’s hands, threatening, “We’re coming back.” The bridge then blurs together field recordings of people sobbing hysterically as the guitar bends to mirror their ululations—a sonic trick that seems both overwrought and borderline exploitative in theory, yet still manages to feel totally earned. As the album wraps with a suite of “Bury Me Standing”—a wordlessly ambient, William Basinski-esque drone of saxophone and chimes—colliding with “The Cycle/The Spiral: Time To Go Down Slowly” over a piano vamp reminiscent of Nina Simone’s “Sinnerman,” Fisher looks at this perpetual loop of violence and makes it personal again, offering his benediction with the admonition, “You’ll find hell where you fought love / You’ll find hell when it falls apart.” It’s a grim picture that also contains the faintest glimmer of salvation, ending in a cacophony that fades out on one sustained note of somber self-reflection. This is a sound of weary remorse all mixed up with bubbling rage and shell-shocked confusion, and like everything else about The Underside Of Power, it feels willed into being by some collective, yearning ache. This record might not justify the trying times under which it was created—what art could?—yet it captures them in a way that provides both comfort and catharsis to those who would resist. It’s an album we need right now, and will surely, sadly need again. Purchase The Underside Of Power here, which helps support The A.V. Club.